With the investment that you have made into your new kitchen, you want to ensure that you receive the maximum benefit of each feature you selected. This is especially true of your countertops – the place where most of the activity in your kitchen is going to take place. Your counters are exposed to much more than just food preparation, so you want to ensure that they will not only stand up to the constant use, but also that they are resilient to the signs of wear over the life of your home. Quartz is resistant to chipping. Recognized as one of the hardest building materials on the planet, it has a resilience that rates among some of the most valued gem stones. Quartz is resistant to both heat and scratching. When you consider the types of action that your countertop may see in food preparation along with chopping, grinding, mixing of ingredients, it is good to know that quartz will stand up to the challenge. Quartz is non-porous. 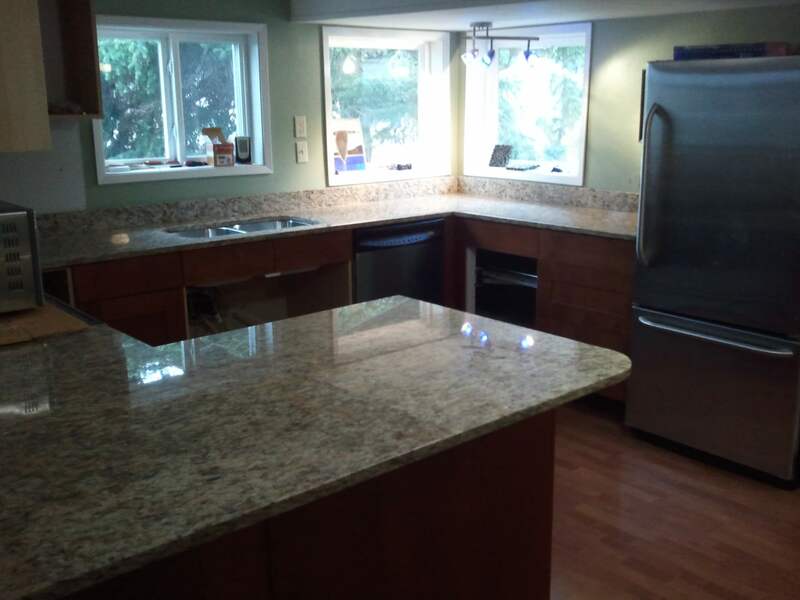 Not all stone countertops are created equal and one of the greatest advantages of quartz is that stains cannot penetrate the surface and is not susceptible to mold and mildew build up for this reason as well. Quartz maintains its shine. You can be assured that with routine cleaning alone, quartz will maintain its day one shine over its lifetime without any required re-sealing that some other stone products require. A daily rinse with hot water and a sponge or cloth is often enough. A soft or stone soap can be used when needed, but often a simple wash with water is all that is needed. Use soap as required, but avoid chemical cleaners and abrasive substances. If a spill has been allowed to sit on the counter and a surface stain has developed, often a solution of vinegar and water is all that is needed to lift this blemish from the surface. If any food debris should be stuck to the surface, the best remedy is to scrape the remnant from the counter with a butter knife and then proceed to clean as usual with water and cloth. Tough quartz is heat resistant, to ensure that it maintains its initial shine over the course of its life, it is recommended that any hot pans not be placed directly on the surface, but instead on appropriate potholders. Left unattended, water rings can also become etched into the surface as well, so use coasters and pot holders when needed. A quick daily rinse of your quartz surfaces will ensure a long life with a finish that will stand up to the test of time. For any other quartz countertop installation or maintenance question you may have, we encourage you to visit our showroom in Edmonton and speak with our team. Drop in, give us a call or drop us an e-mail to explore your future with quartz.